A homemade salve can have great healing powers! Salves are used to treat itchy skin, dry skin, boils, infections and even aches and pains depending on the herbs used. Making salves at home is relatively simple and you'll find a far superior product than any you can buy in the store. Not only will you save money but you'll also have an all natural salve without any petroleum products. How empowering! GOLDENSEAL SALVE: Goldenseal is a great antiseptic and antibiotic which makes it wonderful for infections, minor cuts and scrapes, chapped skin or any other skin irritation. COMFREY SALVE: Comfrey is deeply lubricating and also good for minor cuts and scrapes, bruises, dry skin, joint and muscle pain and even arthritis pain. EUCALYPTUS SALVE: Eucalyptus is wonderful for any type of congestion, bronchitis, asthma and even muscle pain. LAVENDER SAlVE: Lavender makes a great healing salve for dry, chapped skin. Smells divine too! CHAMOMILE SALVE: Chamomile is both anti-inflammatory and antiseptic and wonderful for itch relief. Many uses for this homemade salve! SOLOMONS SEAL: Solomon's seal is suberb for any type of pain. Many arthritis sufferers benefit greatly from solomons seal. 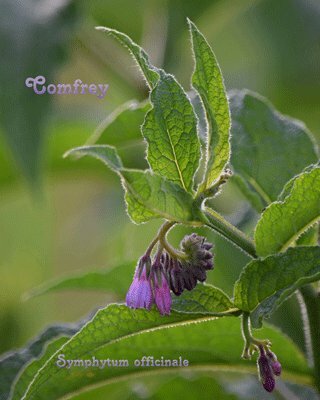 Try mixing with comfrey! BLOODROOT SALVE: Bloodroot is a very potent herb! 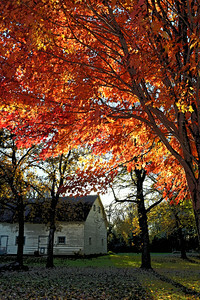 Salve made with bloodroot is typically call black salve. This herb has an amazing drawing ability and is used as a boil drawing salve and even skin cancer. Working with this herb is not for beginners but definitely worth mentioning. CHICKWEED SALVE: Chickweed is a great remedy for any type of itchy skin condition. Use for bug bites and stings, chicken pox, measles, rashes or simply dry skin. CALENDULA SALVE: Calendula (pot marigold) is best known for its skin healing properties. It is said to not only heal skin conditions but help prevent wrinkles and scarring plus fight free radicals. Calendula is a very gentle yet effective herb to use in combination with any other salve herb. ARNICA SALVE: Arnica is world renown as a pain reliever. 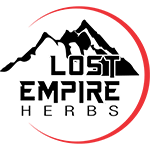 This is another very potent herb not recommended for beginners but is a great salve for any kind of muscle ache, joint pain or tension. Try some arnica salve on your temples for headaches! LEMON BALM SALVE (MELLISA SALVE: Lemon balm salve is excellent for anyone who gets frequent cold sores! These are just a few of the herbs that can be used for making salve. Keep in mind that you can mix and match them to create a salve specifically for you! OK, let's learn how to make salves! This is a great general purpose salve! This salve recipe will yield about 5 ounces. More than enough for yourself with some left over to give away as gifts. Place your herbs into an oven safe dish (no aluminum please!) and pour the olive oil in. Stir and bake in the oven at the lowest possible temperature (200 degrees or less) and bake for 3 hours. This is called an herbal infused oil. After 3 hours allow the mix to cool slightly but strain through the cheesecloth while it's still warm. Make sure to squeeze out all the oil you can. Now put your mixture in a pot on the stove (a double boiler would be great) and very GENTLY heat the oil mix back up. DON'T BURN IT! Puncture and add your vitamin E capsules (or about 1/2 teaspoon if using liquid E) and then add your beeswax. Stir until it's completely melted and blended. Remove from heat and let cool just a minute or two then pour into a wide mouth jar or several small jars. As it cools the mixture will become semi-solid and the perfect salve consistency! Congratulations! You just made your first homemade salve!! *Make sure you label your jars! *Cold pressed virgin olive oil is best for medicinal salves but if you wish to make a massage salve you can use a lighter oil such as organic grapeseed oil or almond oil. *For massage or perfume salves only add about 1/4 teaspoon of a floral essential oil to the salve recipe. Rose, lavender or jasmine would be sensual. *To clean the wax out of your pan, fill it with water and bring to a hard boil then dump it out quickly! Have fun and get creative with your own homemade salve recipe!! If you don't have time to make salve yourself there are a couple commercial salves that I have heard good things about. One is Prid Salve which is homeopathic and the other is Porter Salve which has been around since the early 1900's. I haven't tried them but they are available in the Body & Soul Store under Home Remedy Products if you wish to check them out. What are your favorite salves or herbal salve recipes? Feel free to comment below! Share a cure, thought or experience about Homemade Salve! Have you tried a homemade salve or have a great salve recipe? Check out the many other uses for OLIVE OIL here!